Travel guide providers Lonely Planet have rated the Main Market Square in Krakow as the most beautiful square in the world. Krakow took full bragging rights to be named as the city with the most beautiful market square in the world. It was no mean feat as second place went to the much celebrated Piazza San Marco square in Venice whilst third was given to the Jamaa el Fna in Marrakesh. The French wing of the Lonely Planet had commented on the Krakow site “miraculously” surviving the ravages of the Second World War, and that street performers and flower-sellers all do their bit in creating the magic of the square. Lonely Planet enthused that among the most captivating times to visit the square is during the annual Nativity Scene Contest, which takes place on the first Thursday of every December. On that day, contestants line up their distinctive Christmas Cribs on the ledges of the Adam Mickiewicz monument. Krakow’s Old Town was rebuilt from scratch after being burnt to the ground by Mongolian invaders in the 13th Century, hence the city’s grid layout. During the Nazi German occupation of the Second World War, the square was renamed Adolf Hitler Platz. However, on the architectural level, the city managed to escape the destruction experienced by many other Polish towns and cities. 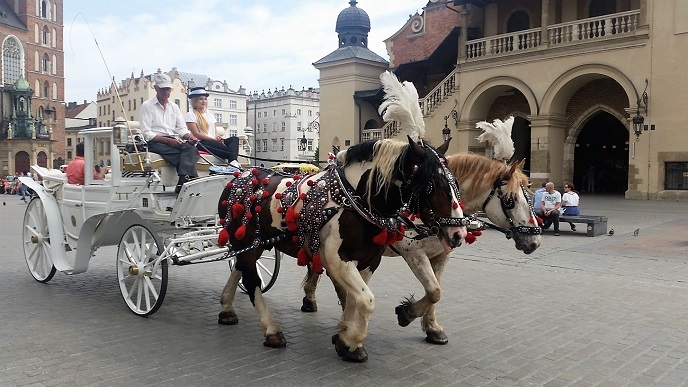 Today, Krakow is a thriving city and the endorsement by Lonely Planet is testament to the beauty and magnetism that each traveller to Krakow feels. For more information about Krakow, please contact our main office.